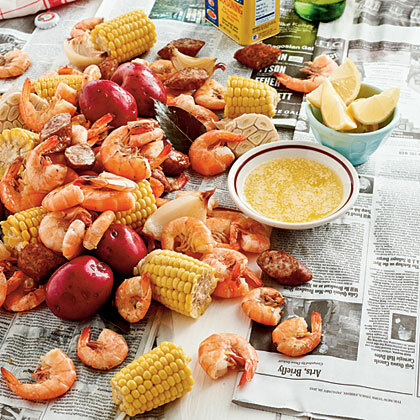 Here’s what I consider the best Florida Low Country Boil ….I stick with this recipe, and it’s awesome every time. 1 ½ lbs of Shrimp, Raw, UNPEELED!!!! Halve potatoes, don’t peel them! Cut corn into four inch pieces. Pour enough water over to cover ingredients in Large Pot. Add bay leaves and Old Bay Seasonings, cayenne pepper and garlic cloves. Bring to a Boil. Add potatoes and boil boil for 20 minutes. Add corn and crab legs, cook for 10 minutes more. Add Shrimp at the end and boil for 3-5 minutes more. Be careful not to overcook the shrimp! It’s ready as soon as it turns pink/red. Drain. We usually dump ours out on a Picnic Table covered in newspaper, or one of those plastic cheesecloth tablecloths. Serve with Beer and fresh Bread. 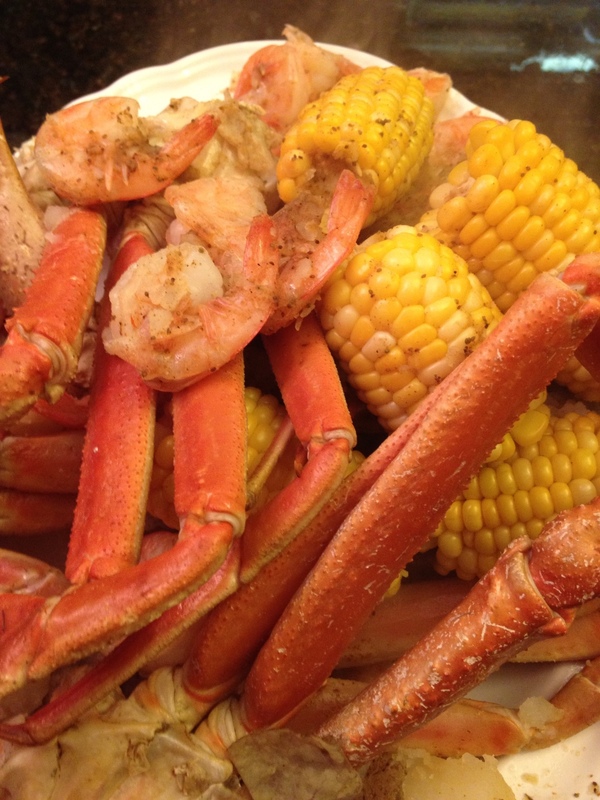 And, if you want to make it “special”, throw in a couple Lobsters along with the crab….we do that often! Amazed of the way of serving! Where do you ditch the shells? I want to do this for a reception. Jessica, Usually in a large Bowl on table, if you’re looking at doing this for a reception, consider finger bowls with water provided for rinsing.